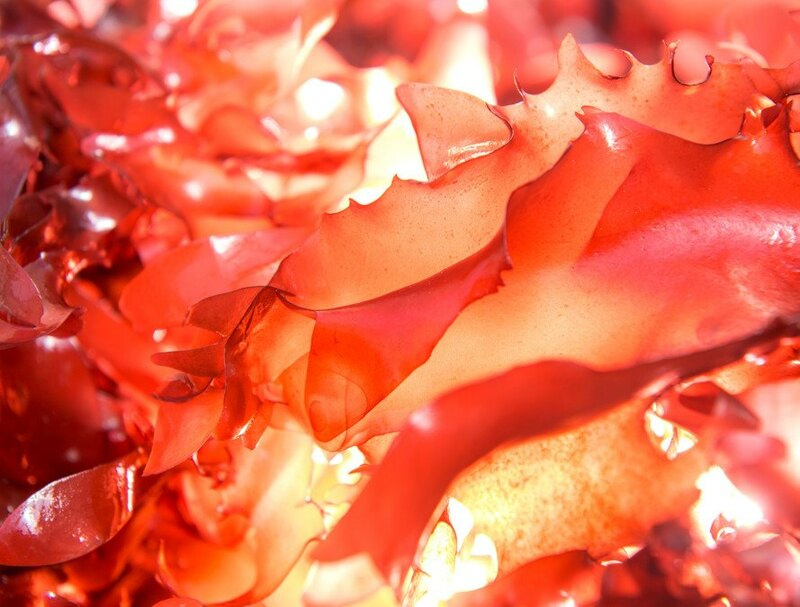 Scientists have discovered a new strain of seaweed that tastes like bacon. Not even kidding. The strain is a type of dulse, which is actually a common sea vegetable popular in Asian cooking because of its high protein content and umami flavor. Researchers at Oregon State University created a brand new strain that, when fried, doesn’t taste like seaweed at all. Instead, it takes on the coveted smoky deliciousness of a food many people just can’t quit. This bacon-mimicking seaweed is also twice as nutritious as kale (as if you needed a second reason to want some). The strain was initially developed in an effort to find a more efficient way to feed abalone, which is a treasured delicacy in Asia. That worked; the dulse-fed abalone grow at a faster rate and are of the high quality sought after in top seafood markets. Still, Langdon says there was always an interest in growing this type of seaweed for human consumption as well. 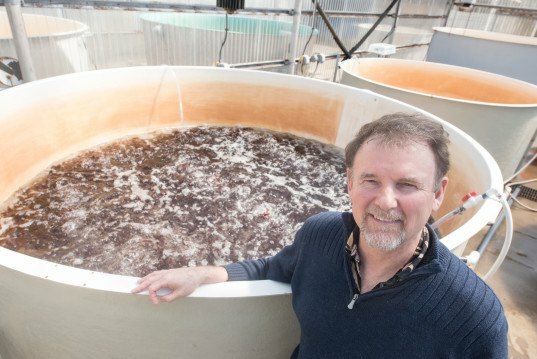 The dulse variety that Langdon and his team cultivated can be grown in offshore farms, which Toombs recognized as “a potential for a new industry for Oregon.” The research team was able to secure a grant and bring in a chef to explore the possibility of growing this new strain of dulse for restaurants and public sales. In Portland, an extremely vegan-friendly city, restaurant chefs are clamoring for a taste of this new vegan bacon. Vegan chefs have been trying to replicate bacon-y goodness for quite some time, using everything from mushrooms to eggplant, but there’s usually a lot of work involved. Some will continue to argue that vegan bacon isn’t really a thing, but maybe they will change their minds when their tastebuds get ahold of this hidden treasure from the ocean. I would not eat anything grown in Fukashima-Laced Uranium Swill Pacific Ocean and certainly not G.M.O. produce. It has been well-known for decades that there are seaweeds that taste like Steak and Mushrooms. As for pork I cannot say, however there are so many species of seaweed in the oceans that it would not surprise me that naturally occurring seaweeds that are pork-flavoured likely exist. There are very few seaweeds that are found to be poisonous. can it be grown in space? I agree with monnie. It was not discovered if it was developed. Is it a hybrid or is it genetically modified? Not enough information. I want, I want, I want. And it's not pork! Some jerkoff would turn this into a race issue..
"Scientists have discovered a new strain of seaweed that tastes like bacon. Not even kidding. The strain is a type of dulse, which is actually a common sea vegetable popular in Asian cooking because of its high protein content and umami flavor" So these white American scientists "discovered" a seaweed that people on another continent have been eating since day dot? A bit like in the same way Colombus "discovered" America then? But with less genocide? I hope. I really really want to share this article but, because of the misleading title I will not. They did not "discover" it they created it...big difference in my books and most peoples I believe. It is not natural existing is it? No. Therefore, it was not discovered in my books...it was not happened upon naturally in nature....it was created purposely in a lab. The title needs to go. Other than that, being from the land of dulse myself I was interested in the article. We have the best dulse in the world where I come from and sell it world wide. It is natural, grows on the rocks in the ocean, was not created by man and is very healthy snack and great for cooking. I am sure this product will be a hit, but it was no discovery...it was developed. I find it hilarious that vegan/vegetarians spend all this time and effort to reproduce the meat they are craving. Apparently they can't come up with unique food recipes that people actually want, they can only strive to create some cheap imitation of the foods they clamor for. When can we expect them to start mass producing this stuff?